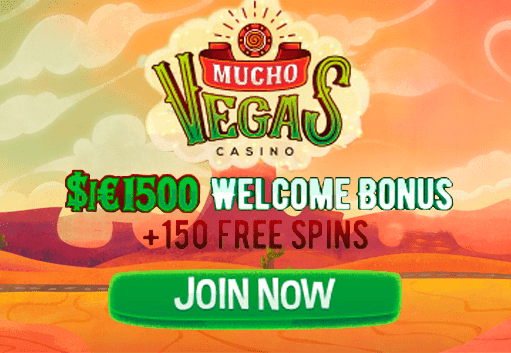 Mucho Vegas Casino Review 2019 | Is This Popular Online Casino Good? Mucho Vegas Casino is a bright and cheery casino site where ‘the fiesta never stops!’. There are almost 1,000 games on offer here, many of them from internationally renowned games providers. There is a Mexican theme running through the site, fittingly in the sense that many slot games borrow from that culture, and of course it allows the site to refer to the fiesta on offer, as we mentioned above. In fact this casino has drawn praise from a number of different sources, awarding it third prize in, New Casino of the Year award for 2017. This casino certainly looks impressive, and it’s hard not to be impressed with such a huge selection of games. There is also a tempting welcome bonus on offer to tempt new players, as well as various ongoing promotions. There is certainly a lot to like about this Mexican themed casino, which offers Mucho of just about everything! WHAT IS Mucho Vegas Casino? Mucho Vegas was launched in 2016 by a group called Flavidus Limited Casinos. The site is licensed by the Curacao government, which is a recognized regulatory body although not one of the premium regulators. In terms of enforcing the most helpful and supportive regulations for casino users, it is generally best to have a European licensing body which is empowered to take effective action. That being said, Much Vegas Casino is populated by some of the biggest names in game development, and you can be sure that these companies are operating completely fair games as they are obliged to pass independent tests of all their games. The Flavidus group also runs a number of other casinos, the most well-known of which is probably Casino Ventura. The Mucho Vegas Casino opening bonus certainly catches the eye. They offer a total of up to $/€1,500 plus 150 free spins to new joiners, based on deposits. Unusually, this package is made up of no fewer than 7 deposit bonuses. The casino will match your deposit by 100% for your first deposit of up to $/€100, and after that will match subsequent deposits by either 25% (up to $/€200 bonus) or 50% (up to $/€200/$/€300). The seventh bonus comes along with those 150 free spins. There are conditions attached, of course, and these are the reason we’re not giving top marks for this bonus. For one, you must bet deposit plus bonus 30 times in order to withdraw. If you maxed out the bonus you would be talking about having to play through enormous sums in order to withdraw it all! Withdrawing just the $/€100 on its own would mean requiring a total of $/€6,000 to be played through. However, it is a way to check out a lot of the site without requiring major investment. There are also lots of other reload, free spins and milestone bonuses on offer too. 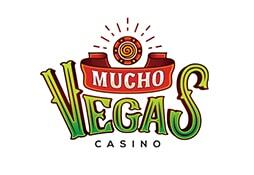 You will find plenty of suitable payment methods available to you from Mucho Vegas Casino. The Visa and MasterCard options are present and correct, as you would expect. You have also got Neteller and Skrill, so can choose whichever of these electronic wallets suits your needs best. Paysafecard vouchers can be bought from your local store, and these can then be used to deposit to your online casino account, although not to withdraw. If none of those match your preferences then there are mucho mas options. These include Zimpler, Sofort, Bank Transfers, MultiBanco, Giropay and Trustly, although availability depends on your location. Games are at the heart of every online casino, and the sheer variety of options available here will be enough to win most people over. There is a quite frankly mind-boggling range of choices on offer, more than anyone could possibly expect from such a young casino. There are over 100 casino table games alone, with a live casino, a great selection of jackpot games and video poker titles, and of course a simply enormous range of slots. The total number of games approaches 1,000, making Mucho Vegas one of the biggest online casinos in the world when it comes to quantity of games. There are some big-name game developers involved as well, including NetEnt, Microgaming, Betsoft and iSoftBet among others. The most frequently asked questions can be asked, well, in the Frequently Asked Questions section! If that doesn’t help, then you can get in touch with the courteous and professional customer support team. You can contact by live chat any time of day or night, any day of the year. If you don’t need an instant response then send them an email by completing the form on the Contact Us page. There is no phone option, unfortunately, but the 24-hour live chat compensates for that. There is a lot to tilt the balance in favor of the Mucho Vegas Casino. The Mucho in the title presumably refers to the number of games on offer here, as the quantity is truly excellent. The bonus is one of those which looks good at first glance, but the terms and conditions are quite strict regarding wagering requirements. We prefer to see a European license to know that a casino conforms to the highest standards, so the Curacao license here is negative. However the game selection is fantastic, the site design is simple and fun, and there are lots of great promotions on offer.